After popping my picking cherry on a "Magnum" pad lock (a Master knock-off I believe) I wanted to try another lock so I tried my "skill" on an old Enixus pad lock that was kicking around and I don't have the key. I tried unsuccessfully for about 30 min. when I remembered reading that in order to improve your picking ability you should know what you are up against. So I went to the Enixus web-site and found some documents and pictures. 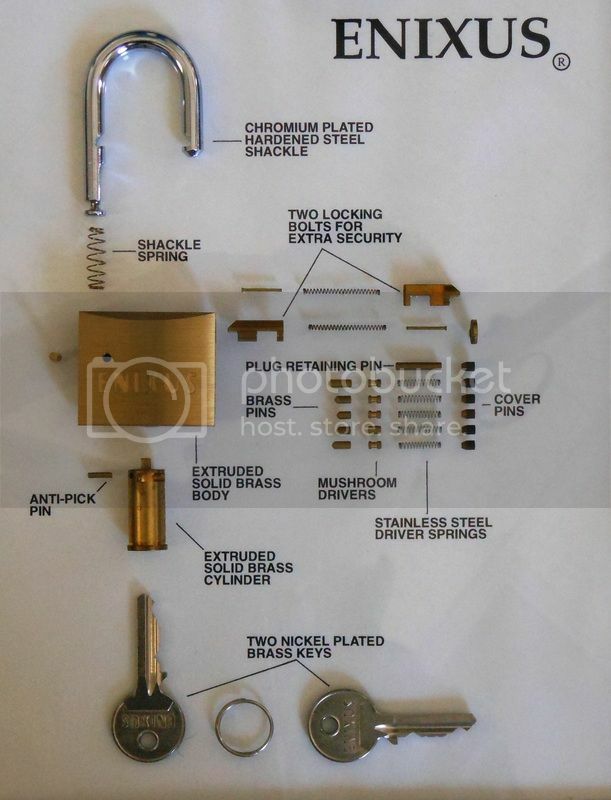 I couldn't find a picture of my exact lock but after viewing the following pic of a similar looking lock I realized I'm trying to pic something above my pay grade with those mushroom drivers. I was curious about that "Anti-Pick Pin". 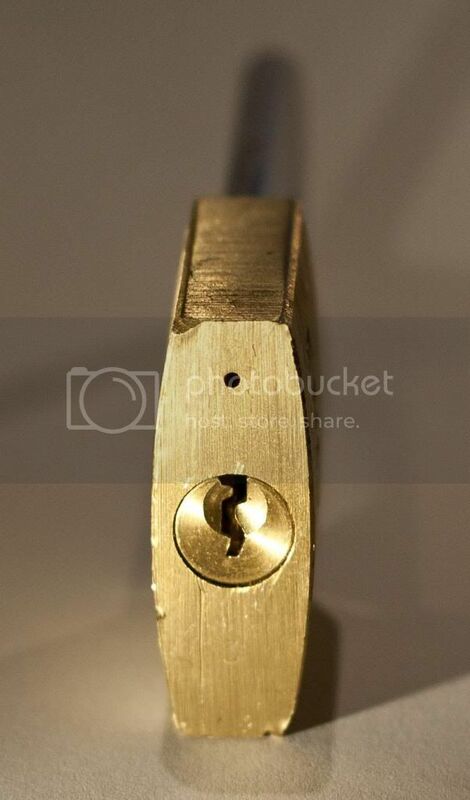 Is this lock truly anti-pick or is it just marketing hype? I haven't seen any videos mentioning this type of pin and was curious if there's a way around it and exactly does it do. I was also curious about those locking bolts. Are they there to prevent picking or to better help secure the shackle? Hard to say what that pin is without closer examination. Perhaps it is to prevent bypass by actuating the locking dogs? Can't think of any pin that prevents picking except for a trap pin, and it does not look to be a trap pin. Perhaps is is just another pin that needs to be moved, but don't see any spring. I think Riyame is right, it's to close off the back of the keyway so you can't insert a tool like the Peterson bypass tool for American padlocks, or the Silver Bullets for Master padlocks. MBI wrote: I think Riyame is right, it's to close off the back of the keyway so you can't insert a tool like the Peterson bypass tool for American padlocks, or the Silver Bullets for Master padlocks. It could be something else, too. Sure, some lock companies might not advertise the difference between picking and bypassing and the pin might very well prevent the insertion of the Lockmasters and Peterson types of bypass tools...but it might be something a bit more rare. I don't know because I have never turned a key in one of these padlocks. I do know that since the 1950s, so it is nothing new, French Revolier Handcuffs, the high security model, uses a very simple little disc (wafer) tumbler (single sided) lock to secure the double lock feature on them. On American handcuffs, you use the pin on the back of the key to set the double locks and they can be picked or inertia slammed into something to bypass. On the Revolier, the double lock is locked and unlocked with a small Yale key. 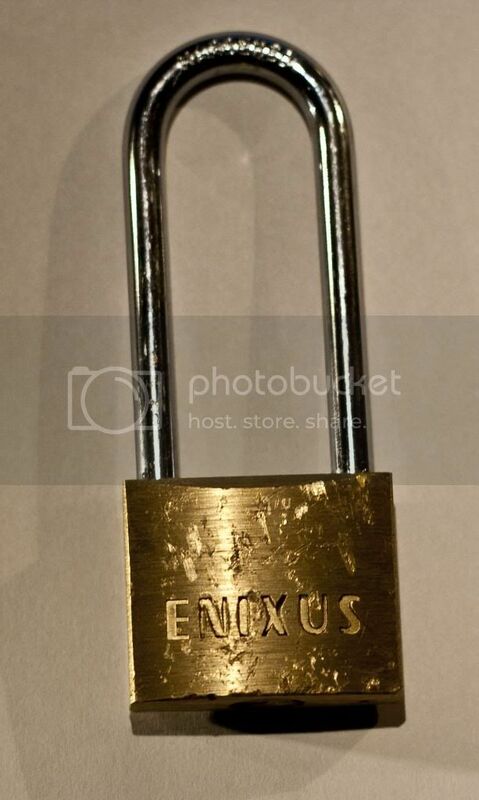 This lock would be nothing to pick for a man with any number of improvised tools he could hold in his teeth or contort your wrists to get a position on. And while the Revolier high security cuffs are pickable, even if you are in them, they are more difficult to pick because of an anti-pick feature that is similar to that one up above. It is simply a pin that protrudes from the side of the plug, near the rear of it, and creates a slight drag on the plug that you can feel even when you have the proper key. They were written up in The Locksmith Ledger back in the 1960s, if I remember correctly, and the feature is described in the Patent for them. I don't know if that is what this is, but it looks like it. I must say, that is THE most organized and neatly lined up gutting photo I've ever seen. Very nice job. However, it looks like the key on the bottom right may be off-level to absolute zero by approximately 0.5 degrees. And the shackle spring is not centered between the shackle and lock body. But will have to let it ride in this case. This brand of lock doesn't seem to be that common. Besides their own website I can't seem to find much more information. 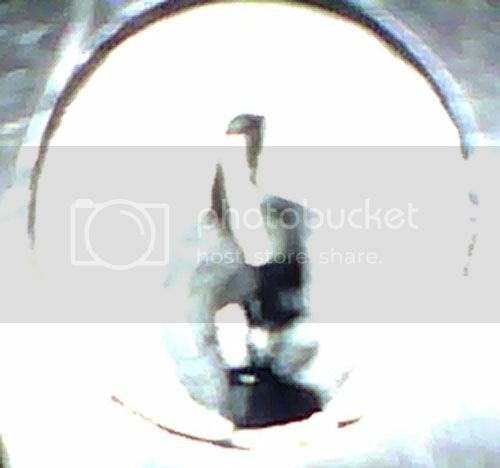 Without being able to see where it goes, BosnianBill though that it could be a pin in the very bottom of the keyway that prevents the cylinder from rotating like in this video here. Can you get a light and see if that is it? Always the possibility it serves some other purpose... but I too would say it's to prevent bypass. I've seen similar pins in some of my guttings excersions. I found that an old Wilson Bohannan had a removable pin like that. Even a cheap Master 141 had a fixed pin running through the back. enough to keep you from simply manipulating the bolts through the keyway. I think Brinks now incorporates something like this in their brass numbers now. I tried to take a picture in multiple ways and was semi-successful but I also did shine a light down the keyway. There isn't a pin at the entrance of the keyway like in the video that Riyame posted but at the back of the keyway there is a hole. I don't see a pin sticking up from that hole but maybe at one time it did. 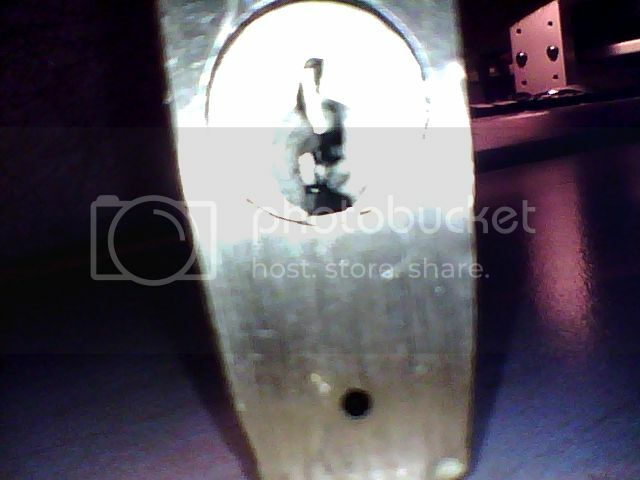 As you can see, it's an old lock and possibly dirt and grime are not allowing the pin to come up from that hole. 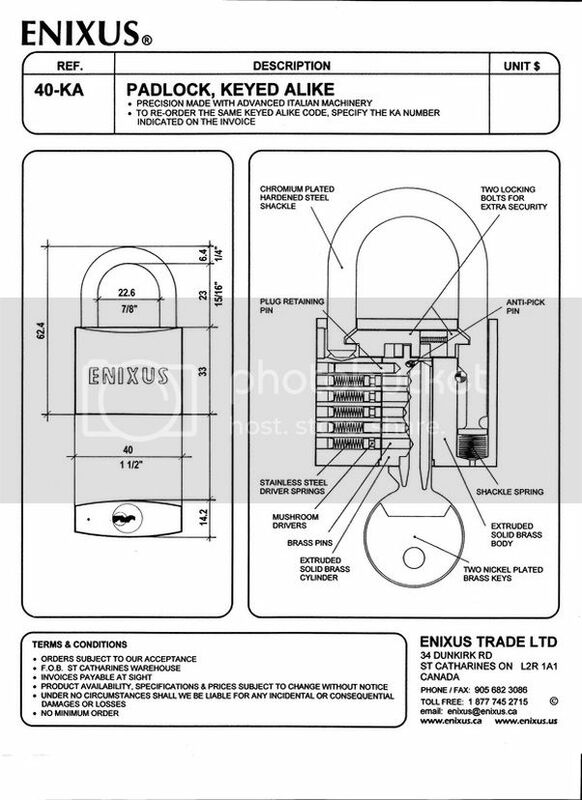 I went back to the Enixus site and found an engineering drawing that shows the location of the ant-pick pin. I didn't realize the company was so close to where I live. Might have to take a trip there some day as they are only about 35min away from me.